It is not often that the Railway gets the opportunity to marry up local history with beer but from Saturday 17 September that is exactly what will happen when Hey’s Gold goes on sale in the rail buffet. The Hey family originates from the Upper Worth Valley. However, in the nineteenth century the family took advantage of the industrial revolution and various branches of the family moved to Bradford to set up textile mills, several other businesses and a brewery. The latter, Hey’s Brewery, owned 74 pubs and sold beers across the north of England. It was eventually bought out by Webster’s in 1966. 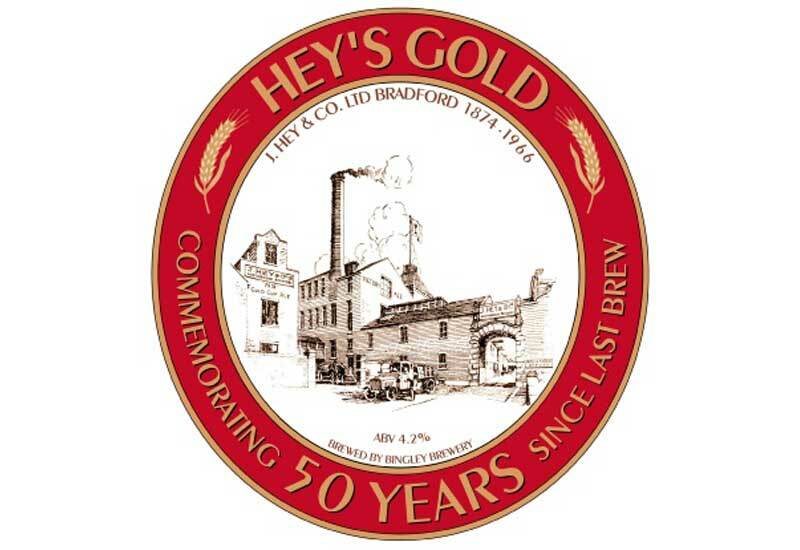 To commemorate the fiftieth anniversary of the brewery’s closure, Kathryn Hey, a descendant of the family, KWVR member and contributor to the Ivatt appeal, has commissioned a special beer named Hey’s Gold. The beer is being brewed in collaboration with Bingley Brewery. The railway is delighted to be able to support a celebration of local history. Hey’s Gold has an ABV of 4.2%. The malts which make up the ‘body’ of the brew are Golden Promise pale and a small amount of pale crystal. East Kent Goldings hops provide bitterness. For extra aroma a late addition of East Kent Goldings and Saaz hops are made to the boiling copper. Joseph Hey and Co, which was founded in 1898 by Joseph Hey who came to Bradford from Oakworth and gained a reputation for producing high quality draught and bottled ales at the Northbrook Brewery, Wilson Square, Lumb Lane, Bradford. The business continued to run successfully after the Second World War, but ceased to be an independent company in 1966 when its shareholding was sold to Samuel Webster & Sons Ltd, of Halifax. September this year, therefore, marks fifty years since J. Hey & Co. Ltd was acquired by Samuel Webster & Sons Ltd of the Fountain Head Brewery, Ovenden Wood, Halifax.